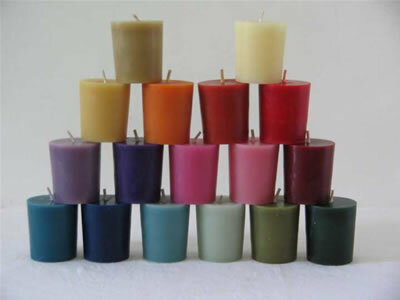 Scented votive in a wide range of scents. These candles are hand made with an average burn time of 15 hours. Choose scent from down box. Approx size per candle 7.5 cm high x 3.5 cm bottom - 4.5 cm top wide, approx 15 hour burn time, sold singly.